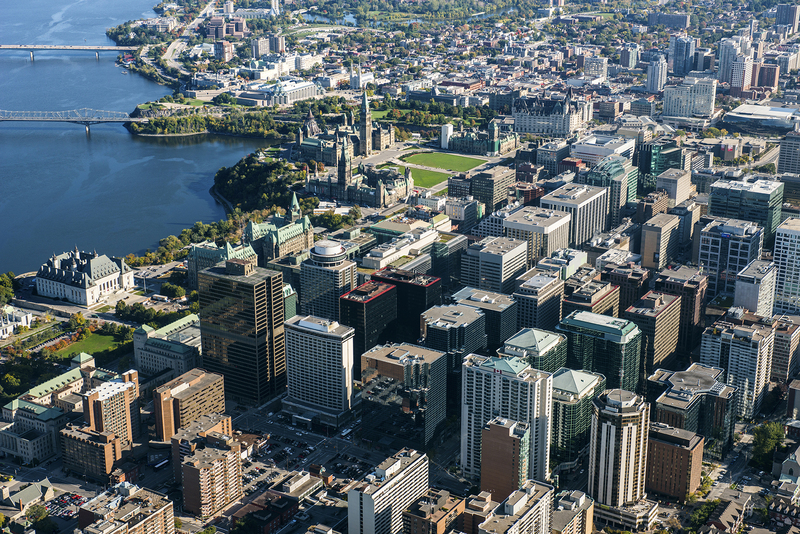 Ottawa consistently rates in the top 5 cities to live in Canada according to Moneysense, and the Conference Board of Canada’s ranking studies, citing the city’s strong economy, education, innovation and housing among the reasons for the esteemed rating. The recent appraisal of Ottawa’s economic situation and outlook for the future echo these accolades. The future for Ottawa businesses is bright. Let’s look at the big picture. The U.S. economy continues its rebound and our neighbours to the south are influencing Canada’s economy enough to pull us along with them on this recovery. The U.S. dollar is also rebounding, while the Canadian dollar decreases, creating favourable conditions for trade. The stock market holds onto its “bull market” ways but is slowing down. The Bank of Canada foresees that the current state of inflation is temporary and that interest rates will climb modestly but not until October 2015. Ottawa’s unemployment rate is slowly but steadily dropping and currently sits at 6.6%, and the city’s finances look good, projected to reach a balanced budget in 2015. Despite the doom-and-gloom prophesies out there, the Bank of Canada says there will be no housing market crash, but prices will stall for an estimated decade. In Ottawa, housing prices have steadied, increasing only slightly (0.1%) over the past year. Compare this to more volatile markets such as Calgary (+10.1%) and Regina (-3%), with Montreal holding steady with no change over since 2013. So what does this mean for Ottawa in the near future? Newly-re-elected Mayor Jim Watson is working with business leaders and economic champions to attract tourism and investment to Ottawa. These efforts include the development of the Innovation Centre with the help of Invest Ottawa, which will be opening its doors in 2016. The facility will provide support to small and medium businesses and start-ups, assisting in business incubation and acceleration. Invest Ottawa has already brought in over 2,200 jobs and $200 million in investments to the city in its 3 years of operation and the mayor has granted a 10% increase in funding from the city. New opportunities abound to boost Ottawa’s economy through retail at the newly opened Lansdowne Park (Whole Foods just had their grand opening and offers products from many local vendors), and the rejuvenated Rideau Centre. Ottawa is preparing to set the stage at the upcoming celebrations of Canada’s 150th birthday in 2017. The celebrations will place Ottawa on a world stage, and provide countless new opportunities to develop trade partners internationally. The year-long events and festivities will be a massive lift to tourism – Ottawa’s 3rd largest industry – and is expected to bring hundreds of thousands of new visitors and hundreds of million dollars into Ottawa’s economy. What better time to be in business in Ottawa?